Top 5 Nutrient Dense Vegetables, Are You Eating Enough? Eating vegetables is well renowned for being good for one’s health. According to studies, individuals who consume 7 portions of vegetables daily are less likely to die from any cause. As compared to those who consume less than a portion each day. However, some vegetables offer greater nutritional benefits than others. The following are the top 5 nutrient dense vegetables that have been proven to be the simplest veggie choices one can make to improve their health. As well as, warding off the development of numerous chronic illnesses. 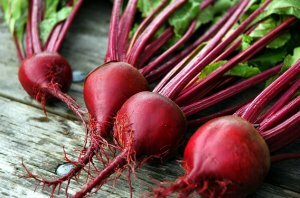 Beets, particularly beet greens, are a great source of zinc, phosphorus, and healthy fiber. They also contain a good amount of protein, anti-oxidants, magnesium, Vitamin B6, copper, potassium, and manganese. Better still, they fall under the category of low-fat, low-calorie, and low-cholesterol vegetables. In addition, studies reveal that the Vitamin K found in beet greens contains various blood clotting properties. Which help keep diseases at bay such as osteoporosis and Alzheimer’s. Also, beet greens contain more iron than spinach! Their Vitamin A and lutein content helps those who are at a risk of developing night blindness. Whilst strengthening one’s immune system by stimulating the production of antibodies. Which fight against disease-causing free radicals. 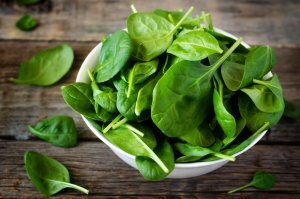 Spinach contains high levels of iron, zinc, niacin, fiber, protein, Vitamin A, Vitamin C, Vitamin E, Vitamin K, Vitamin B6, thiamine, folate, calcium, phosphorous, manganese, copper, and potassium. In other words, spinach is simply loaded with nutritional value that works to keep the human body healthy. The green leafs also contain flavonoids which function as antioxidants. 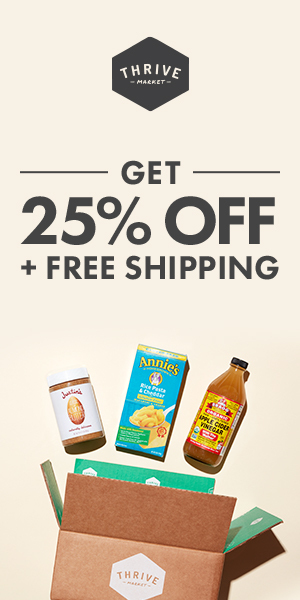 Which work to stop the oxidization of cholesterol in the body and fight against disease-causing free radicals. 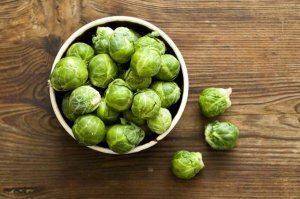 These miniature cabbages are not only a great low-calorie vegetable option, but they are also a notable source of Vitamin C, antioxidants, and potassium. Although they may not have an appetizing smell, the sulfurous scent emitted by the tiny vegetable arises from a compound known as glucosinolate sinigrin. A mouthful I know but, this unique compound contains cancer-fighting properties. In addition, these mini cabbages are loaded with antioxidants. Substances that ward off the development of heart disease and fight any disease-causing free radicals in the human body. When eaten raw, broccoli contains several nutritional properties. It is important to note that broccoli only offers top nutrient levels when eaten raw. As most of its nutrients tend to be destroyed in the cooking process. 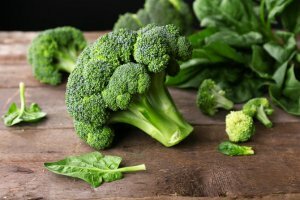 That noted, raw broccoli contains calcium levels that are comparable to whole milk! Two times the amount of Vitamin C contained in an orange. Furthermore, broccoli has a high selenium content that gives it antiviral and anti-cancer properties. One of the greatest benefits of broccoli is its “sulforaphane” content. 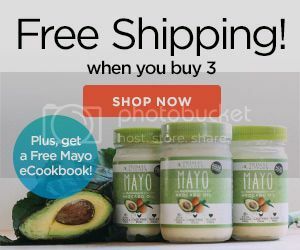 Sulforaphane is compound that naturally increases the body’s level of glutathione. Glutathione is one of the most powerful anti-oxidants your body utilizes for cellular defense. Glutathione also has incredible anti-aging properties. In fact, researchers suggest that depleted glutathione levels is a major contributor to the aging of humans. Moreover sulforaphane is excellent for balancing out estrogen levels. Whether they are to high or too low, sulforaphane will get your estrogen levels to where they need to be. In terms of wide range nutrients, asparagus contains Vitamin A, Vitamin B6, Vitamin E, and Vitamin K. The combinations of these vitamins help with eyesight. Also reduce the tissue, cell and organ damage due to various anti-oxidant properties and help with blood clotting. 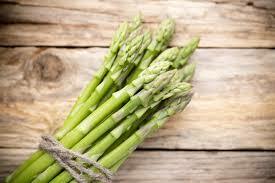 Asparagus also contains great levels of magnesium, zinc, fiber, riboflavin, thiamine, copper, iron, niacin, and manganese. The above list contains the top 5 nutrient dense vegetables. These vegetables combat disease-causing free radical, whilst promoting an individual’s health. As noted, the best way to ensure that you are obtaining the most nutritional value from any of the above-mentioned organic vegetables is through purchasing only those which are fresh. The greener the veggie, the more nutritious it is. Finally always be sure to eat organic vegetables.